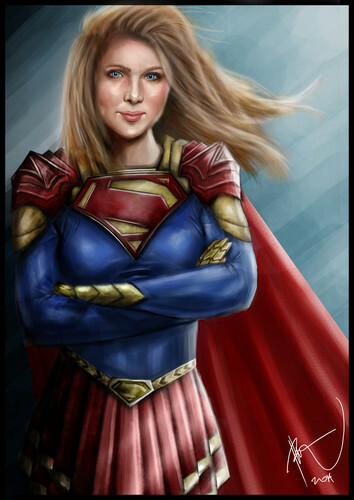 Molly Quinn as Supergirl. Molly Quinn provide the voice for Supergirl in the animated movie "Superman Unbound". here's a little fan art of Molly Quinn as Supergirl herself.. HD Wallpaper and background images in the molly quinn club tagged: photo artwork molly quinn supergirl fan art mollyquinn alexis castle. This molly quinn fan art might contain borstplaat, auspiciën, egis, aegis, kiel, gewaad, and polonaise.